Some of our first customers were state, city and town governments. Through years of experience, our engineers have built an intimate understanding of the challenges faced by IT staffs at the state and local levels. We develop wireless solutions connecting public servants in urban and rural areas that include historic buildings, difficult terrain and geographically dispersed sites. 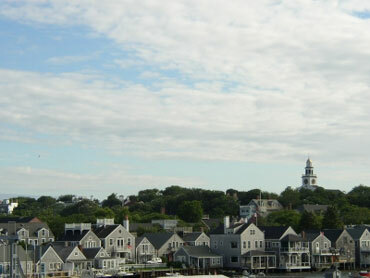 Nantucket’s historic downtown made this project particularly challenging. To interconnect every municipal building across the island, we blended an antenna into the peak of the town’s landmark clock tower. We also replaced a failing 8Mbps wireless system that covered four sites with a Proxim MP11a 36Mbps solution that now connects all eight sites. Malden officials determined that extending the city’s network with fiber would take too long and incur high costs. As a result, our engineers created a mesh network to interconnect multiple municipal buildings featuring a Proxim point-to-multipoint solution. With 18 state and federal housing developments throughout the city, the city’s housing authority spans three levels of government. We interconnected every site with Proxim MP11a and 900MHz products, enabling the expansion of the computerized tenant selection process and eliminating expensive leased lines.